This is an open letter signed by French, Francophone and Francophile members of the Harvard community. This page will be updated with more signatures: if you’d like to add your name to the list, please contact Hugo Zylberberg. The dust of the explosions has hardly settled in Paris and it is still hard to put our mixed emotions into words. There’s sadness: to see the extent of the violence unleashed by barbarians who have only partially been identified. There’s obvious empathy for those whose family, friends or loved ones have been affected. 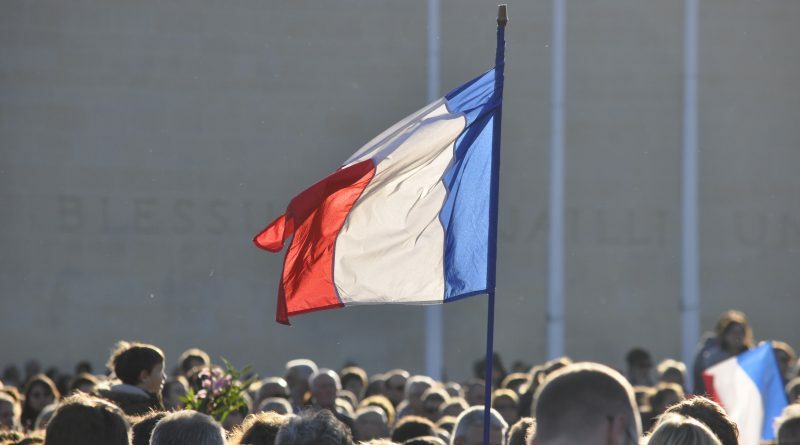 There’s determination: to get back to a situation where all French people can live their lives again without having to worry constantly about a permanent threat. The world is now watching a country in despair to see their reaction. This reaction will contribute to shaping the international community’s own ensuing reaction to the threat of terrorism. We can bomb ISIS in Raqqa, and target terrorist organizations in other places all over the world. But for each terrorist that we kill, how many will rise, radicalized through images of death? We can monitor our citizens more closely to try and prevent new attacks. But how do we go about monitoring even more people, and according to which criteria, without abandoning part of the precise civil liberties we stand to protect? Those courses of action will fall short of achieving a restoration of our sense of security. We have already engaged in a “war on terror” that can’t be won through the use of more weapons and shedding of more blood. We do not believe in either dropping more bombs in Syria or a heightened surveillance of our own citizens, though we recognize that those are legitimate options to debate. We believe that this debate obscures another important one: how to avoid the radicalization of outcasts within our borders. There is another weapon we should be using — words– to proclaim the model of society we stand for. Those words should be addressed not only to people outside our borders but also to our own countrymen who choose to join them. Our permanent attention should be devoted to preventing the harsh life conditions within our borders that enhance the risk of radicalization by a vision of the world that rests on “Us against Them”. The critics will argue that we are naïve, obstinate pacifists or idealists (words that we may gladly use ourselves). So what do we believe that the State can do? Firstly, it can rally explicitly around a common cause. Partisanship is blocking our way forward. Political gridlock has made us focus on politicians’ problems instead of peoples’. The common cause is a question that now stands out with shining clarity: do we want to turn inwards to ‘protect’ a shrinking number of people, or do we want to promote, as widely as possible, a model for our society that is based on everyone’s liberty to live a happy life, on everyone’s equality in front of the State and on a fraternity of desires, emotions and generosity? Secondly, the State must develop policies that support its most fragile members, because they are the most vulnerable to radicalism. The image of elite decision-makers operating in their own spheres and a State trapped in an illusion of its lack of power transforms marginalized populations into a formidable reservoir for the extreme and violent actions that we abhor. Rather than attempting to distinguish between “good” and “bad” migrants, or unemployed people, or Muslims, or Arabs (all terms that have wrongly come to acquire negative connotations) – a grotesque exercise in blind reductionism – we need to make every effort to give all of them an incentive to be “good”. This lies in the promise of a country that gives shelter, that listens and that helps. It is in the promise of a country that creates an environment where all can pursue their dreams. It is our collective failure to provide those conditions for success that has led us to the situation in which we find ourselves today. Openness, Solidarity and Participation. Those need to be our guiding principles. Let us stop drawing futile and fanciful frontiers between “good” and “bad.” The reality is not that the number of “bad” people has been growing. The reality is that French policies have for decades been producing outcasts. These outcasts subsist in impoverished neighborhoods where the failing education system leaves students on the streets, in rural or deindustrialized areas where economic opportunities have vanished, or in a labor market where latent discrimination festers. In a country like France, where the citizen’s role in the Republic is so important, being an outcast is an unbearable state of marginalization. This is not unique to France but can be seen all over Europe, with a concurrent increase of marginalized groups, and of extremism. Without economic, intellectual or social opportunities, how not to turn to alternative ideologies that promise a better future, enabled by an increasingly connected cyberspace? We call for a “Gouvernement d’Union Nationale,” a national political union where representatives from each side would govern together, in the upcoming 18 months before the next presidential election. Their mandate would be to implement some of the reforms that will tackle the issues we have just raised. They would be expected to kickstart new policies to start a dialogue with populations that have been excluded, as well as enable citizens to have more substantial debates about issues related to identity, religion, race, discrimination and tolerance. France must claim a vision of a modern democratic society, where all can live together and contribute to the life of the community, over a model based on fear and discrimination. Democracy is never a given – it is a constant effort to make decisions that are most just for all citizens who have placed their trust in the State’s authority. This living and breathing and evolving democracy is what we should be defending, not an old and dusty model we should have learned to abandon years ago. We all wish to believe that there is a miracle solution somewhere that will provide us with the comfort of security instantly. This solution does not exist; any comfort derived from it would be false and fleeting. Our leaders need to look beyond the obvious need to “do something”, towards new solutions to the old problems of our citizens most in need. Let us make sure that they will never again rise against a Republic from which they benefit. This requires a minimum amount of trust in the human species: a happy human being is not a human being that kills.